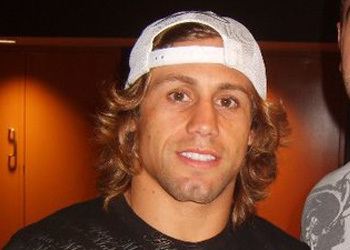 The second after Urijah Faber got the word he’ll be facing Dominick Cruz for his bantamweight title at UFC 132, he immediately issued a stern message to his mortal enemy. The former WEC featherweight champion let Cruz know he’ll be looking for a repeat performance of his 1stRound submission victory from March 2007. Oh yeah, also promised it’ll be on and poppin’ this July 4th weekend. “Homeboy, I came to party,” Faber stated in closing. UFC 132 takes place July 2nd inside the Mandalay Bay Events Center in Las Vegas, Nevada. A welterweight rematch between BJ Penn and Jon Fitch will headline the pay-per-view broadcast.